Monday 2-4 p.m.; Tuesday 10-11 a.m.
Walter Stephens is the Charles S. Singleton Professor of Italian Studies in the Department of German and Romance Languages, co-editor of MLN Italian, and founder of Great Books at Hopkins for undergraduates. He has been a visiting professor of Italian at Yale University (2012) and the Université François Rabelais in Tours, France (2008), and has taught a faculty seminar on “Writing and Wonder” at the Folger Institute (2008). He has been a visiting fellow at the Oxford University colleges of All Souls (2004–05) and Christ Church (2009), at the Institute of Medieval and Renaissance Studies at the University of Durham, U.K. (2012), and at the Centre for Hebrew and Jewish Studies in the Oriental Institute of Oxford University (2014). 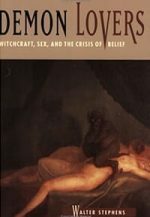 Stephens's teaching and research explore the relation of medieval and Renaissance literature to theology, witchcraft, literary forgery, and the history of scholarship. Tasso, the Epic, and Tradition; Ariosto’s Orlando furioso; Renaissance Mock Epic: Pulci, Folengo and Rabelais; The Invention of the Secular Theater; Teaching the Undergraduate Survey of Italian Literature; Literature and Truth: Forgery and Theory from the Renaissance to the Present. Umberto Eco’s Postmodern Middle Ages; Italy in Brief: The History and Culture of Italy through Its Best Short Stories; Magic and Marvel of the Renaissance; Survey of Italian Literature; Writing and Wonder: Books, Libraries, and Discovery, 1250–1550; Great Books at Hopkins; Dante’s Journey through the Afterlife: The Divine Comedy.